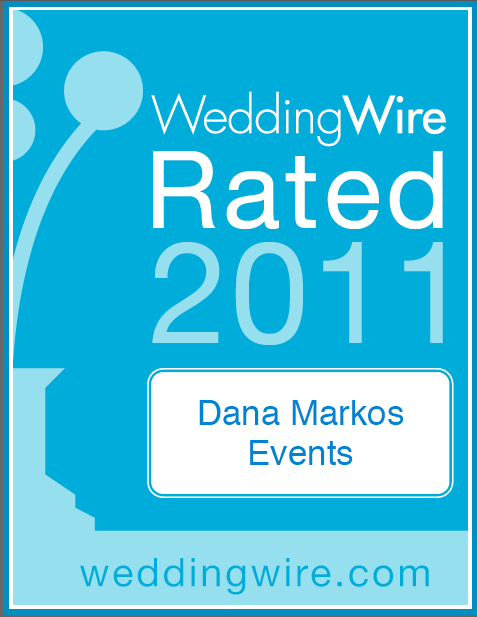 Dana Markos Events has been rated with the highest marks on Weddingwire.com and we wanted to make sure to share the news with all of our friends, fans, and clients! Many thanks go out to all of our clients and other vendors because it is your fantastic reviews that have helped us get to the top! Our greatest appreciation goes out to every single one of you, and we look forward to working together in the future!